Splatoon fans will have something new to collect from this December, when the Splatoon manga hits the west. The manga series launched in Japan in 2015 in CoroCoro magazine, with 10 issues produced overall. It follows the adventures of a team of Inklings, the blue team, starring Goggles-Kun and his three friends: Headphones-Chan, Glasses-Kun, and Knit Cap (Bobble)-Chan. 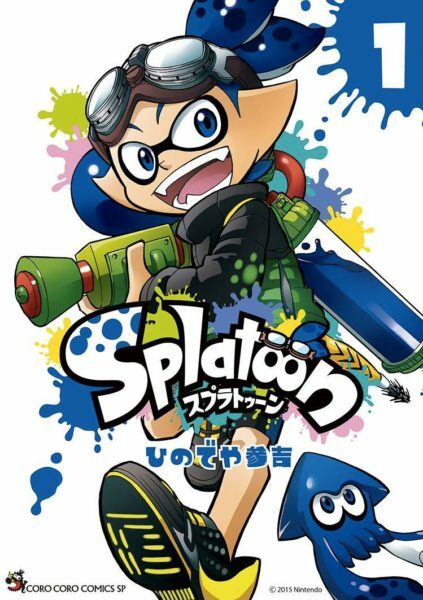 Set in Inkpolis, the kid-friendly manga is based on the Turf War game mode, where players need to ink the largest percentage of a stage in a set time limit. Each issue sees the blue team battle another team. You can preorder the manga ahead of release from Viz.com, where it’s currently listed at $9.99. Are you looking to add this series to your Splatoon collection? Let us know your thoughts on the manga series.